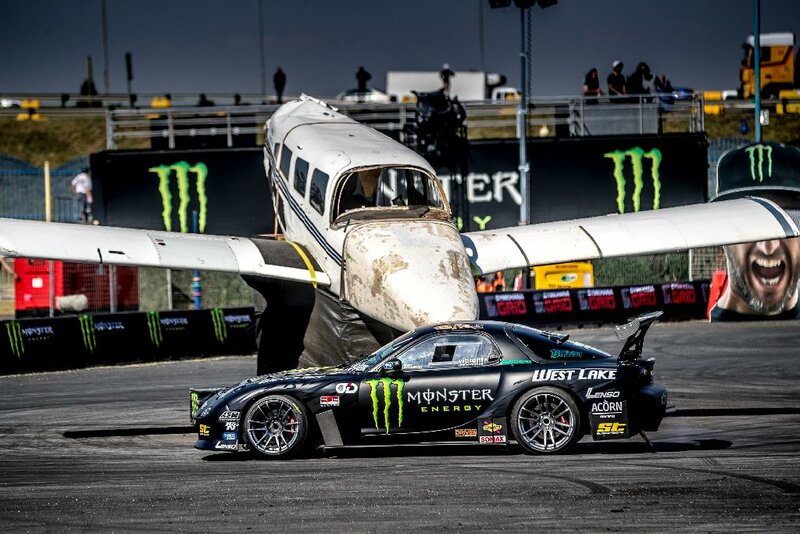 ST @ Monster Energy Gymkhana Grid Finals in South Africa! 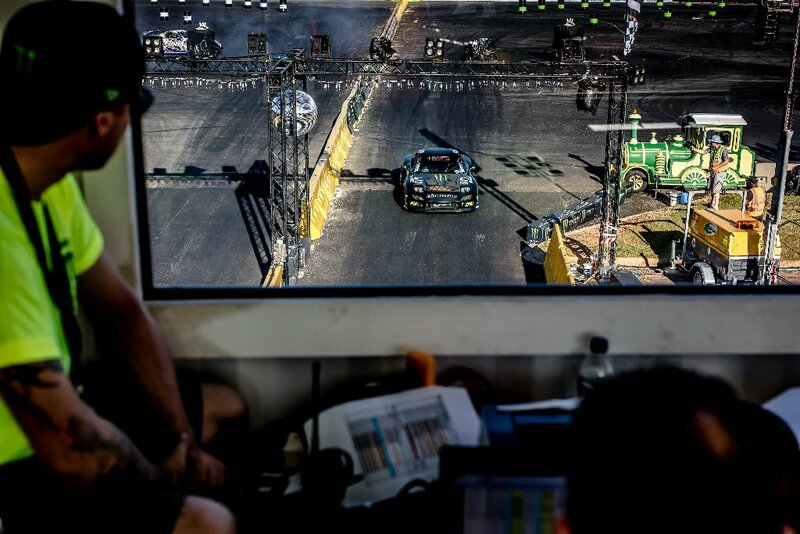 It’s been 12 months since the last instalment of Gymkhana Grid took over the streets of Marathon, Greece. And this year would have to be something special to top the 2016 madness. Taking over Carnival City in Johannesburg, South Africa, the line up of AWD and RWD superstars truly made an impact. 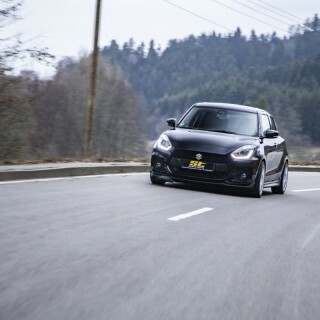 The four day mayhem fuelled event kicked off with the Press and VIP day. With media from all over the globe in attendance, the day was all about the drivers introducing themselves and Gymkhana to the worlds press. And to top it off, an afternoon of passenger rides on the Gymkhana Grid course itself. Friday would see a full day of practice in preparation for the main event on Saturday and Sunday. With the #LSXR35 on its way back from the USA, the #S13V8 in China and the #PS13V6 in Europe. 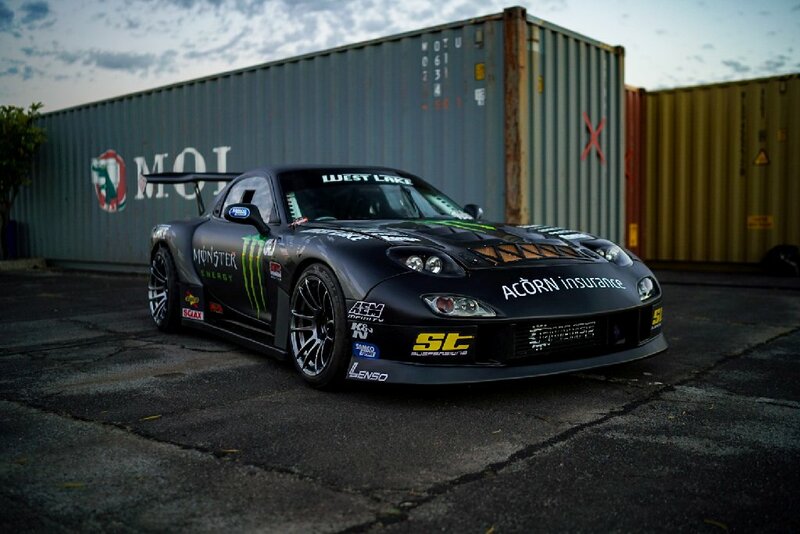 Baggsy had sent his new 1JZ powered Mazda RX7 with it’s Custom built ST / KW Competition suspension to South Africa ready to do battle. Having never driven the RX7, Friday was all about testing and dialling in the set up. 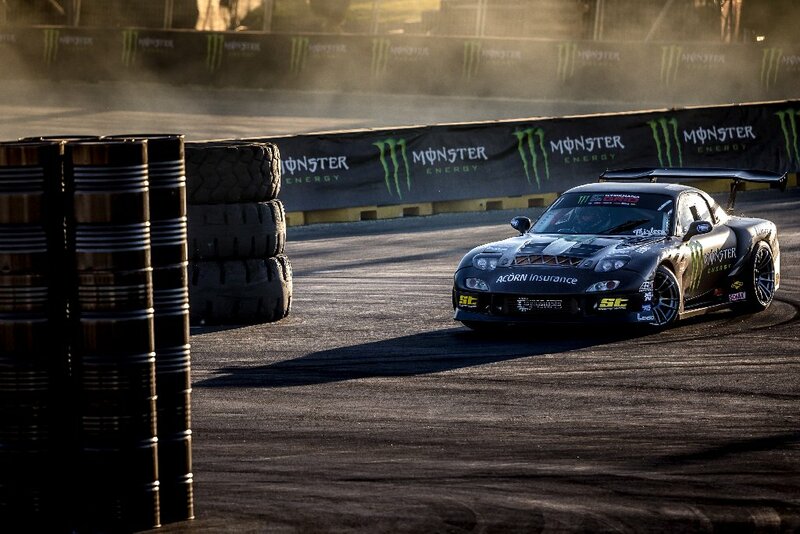 Gymkhana Grid is a race against the clock, so every second counts. 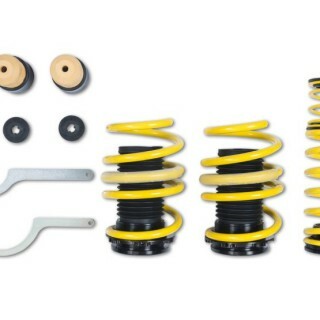 But Gymkhana is not just about the driving. 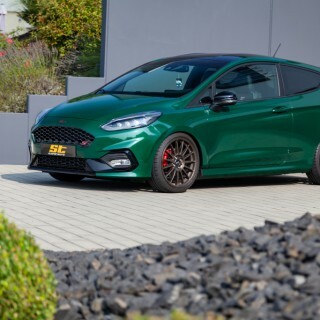 There is plenty going on for everyone, from a full Auto Show hosted by Auto Trader SA to a Skateboard and BMX competition. 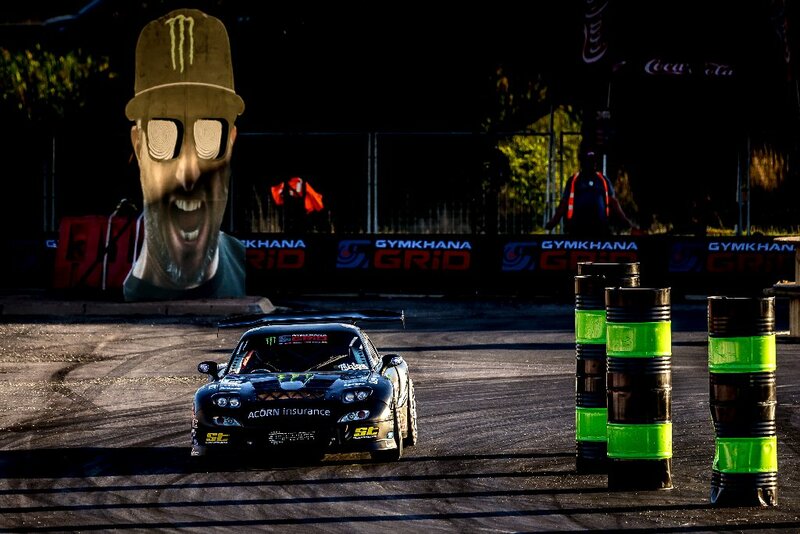 And of course it would not be Gymkhana with out the famous Monster Energy Rig Riot, Signing Session and Smoke Show. Baggsy would qualify 7th in the RWD class and move on to battle Miko Ikonen, Baggsy taking the win would advance him into the Top 8 where he would meet fellow Monster Energy athlete Luke Woodham. After a nail biting battle, Woodham would advance and continue to win the event. 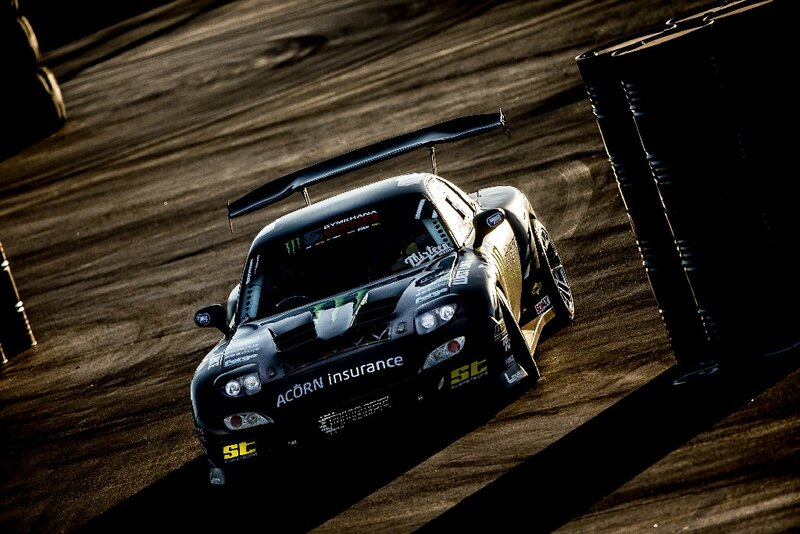 But that was not the end for Baggsy, he picked up the very special SONAX Supercar RWD award. The main event was watched by more the 3 million viewers online along with the packed grandstands of Carnival City. 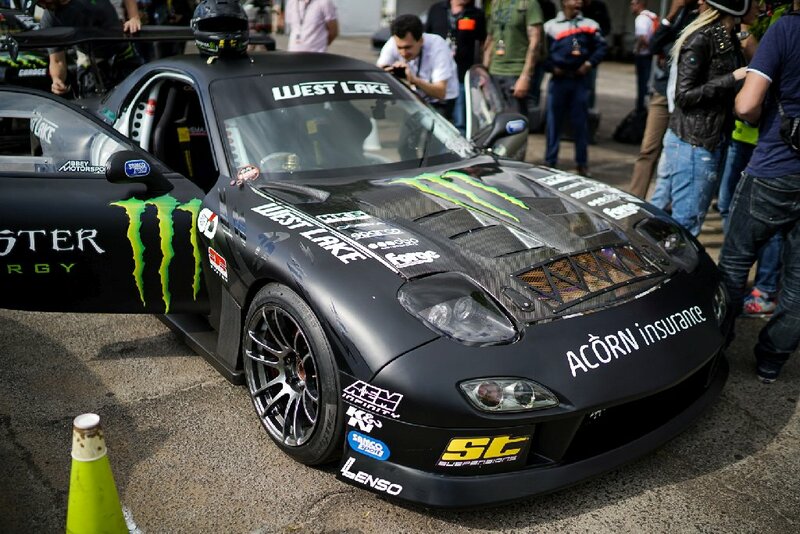 This years Gymkhana Grid Finals was absolutely awesome. This was my third trip to South Africa, and its an amazing country with a really strong automotive culture. The fans that came out to the event were great, the grandstands were alive and all the signing session packed out. As always it was great to hang out with the Monster Energy Family and all my fellow Monster Athletes. It’s awesome to see the Gymkhana Grid events grow year on year, and I cant wait to see what the 2018 instalment holds. My new Mazda RX7 was a lot of fun to drive, and a real strong contender. 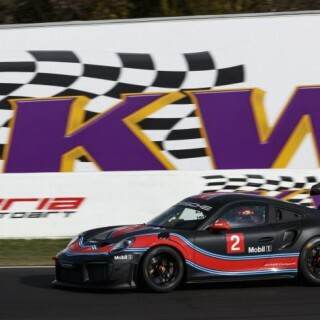 But for now it’s back to the UK in preparation for Monza Rally Show in a few weeks.